A video package runs focusing on New York City narrated by actor Michael Rapaport. We go live from Brooklyn inside the Barclays Center as a big display of pyro goes off. Michael Cole is the first to introduce us to the show with over 15,000+ fans in attendance. Enzo Amore and Big Cass are out first to kick off the show. Big reaction for Amore and Cass in Brooklyn tonight. Enzo cut a promo about making it in New York City and being able to make it anywhere. Cass sang a few lines from "New York, New York." We start with Kevin Owens and Chris Jericho double teaming Enzo Amore early. The referee breaks it up and we start with Jericho and Enzo. Jericho tosses Enzo to the corner and throws a quick chop. Enzo catches Jericho with a quick cross body off the ropes. Enzo with a right hand jumping off the ropes. Tag to Cass. Jericho tags in Owens and Cass tosses Owens inside. Cass with body shots to Owens. Cass dumped Owens with a big side suplex. Tag to Enzo and Cass scoop slams him over Owens. Jericho gets the tag and eats an arm drag from Enzo. Cass launches Enzo at Jericho in the corner. They attempt this again with Owens over Jericho, but they bail. Cass then launches Enzo over the top rope and he takes out both Jericho and Owens at ringside. Enzo with a shot to Owens on the ring apron and allows Jericho to catch him with a quick dropkick from the second rope. Owens with a knee to Enzo on the ring apron and mocks him doing his dance on the ring apron as Jericho distracted the referee. Tag to Owens who stomped over Enzo. Owens with a big chop that levels Enzo. Tag to Jericho who connects with a snapmare and kick to the back combo. Jericho catches Enzo with another dropkick this time for a two count. Tag to Owens who drops Enzo over his knee and then connects with a quick senton splash. Enzo fights off Owens and Jericho with shots from the corner. Jericho gets the tag as Enzo kicks Owens in the head on the outside. Jericho cuts off a hot tag to Big Cass. Jericho with a springboard dropkick to Cass and tag back to Owens. Owens goes up top, jumps and connects with a huge frog splash. Enzo kicks out. Owens with kicks to Enzo in the corner. Enzo with an elbow, kick to the face and then Owens trips him up off the top turnbuckle. Owens misses a cannonball in the corner. Hot tag to Cass. Tag to Jericho as well. Cass with a clothesline to Jericho and splash to Owens. Cass big boots Owens off the ring apron. Cass slams Jericho and drops an jumping elbow. Cass catches Jericho with a big boot on the way down from the top rope. Enzo tags himself in. Cass tries to throw Enzo off the top rope, but Owens crotches Enzo. Cass chases down Owens. Owens sends Cass shoulder first into the ring post. Owens with a cannonball to Cass against the ring barricade. Jericho is attempting a superplex on Enzo. Enzo throws Jericho off and connects with a flying DDT on Jericho! Owens breaks up the pinfall. Owens then launches Enzo in the air and Jericho just barely catches him with a Codebreaker on the way down for the win. Backstage, we see Shane McMahon and Daniel Bryan run into Mick Foley backstage. Jon Stewart walks up with his son to say hello. Stewart questions why Foley is working with Stephanie McMahon on RAW. Stephanie shows up right behind Jon. The New Day show up to say hello to Stewart. Xavier Woods is noticing all the negativity and brings up the power of positivity. New Day asks if they can borrow Stewart. A video package focusing on Sasha Banks vs. Charlotte tonight airs. We get ring introductions for the challenger Charlotte and champion Sasha Banks. Banks goes in for a lock up and Charlotte bails to the ropes right away. Banks with a slap and head scissors takedown. Banks immediately goes for the Bank Statement early and Charlotte quickly rolls out. Banks with chops after early pinfall attempts by Charlotte. Banks forces Charlotte face first into the corner. Charlotte with some nasty looking slaps on Banks and puts a boot across the chin of Banks. Charlotte then drops the lower back of Banks off the top rope. Banks with elbows to Charlotte fighting back. Charlotte with a backbreaker and then slams Banks off the mat. Charlotte with boots to the lower back of Banks in the corner. Banks fights off a Figure Four setup for a Figure Eight by Charlotte. Charlotte throws Banks to the corner into the tree of woe and throws a few kicks. Charlotte gets up top with Banks, turns her back to Banks and gets her up in a Razor's Edge. Banks counters into a huricarana takedown instead off the top rope. Charlotte and Banks exchange elbows. Banks with a Boston Crab on Charlotte in the corner when Charlotte missed a splash and Banks held on to her. Banks with double knees to the lower back of Charlotte for a two count. Charlotte kicks out the knee of Banks near the corner. Charlotte pulls Banks up to the top turnbuckle, Banks fights it off and connects with flying double knees to Charlotte on the outside. Banks misses a backstabber, Banks counters a Natural Selection attempt and Banks gets the Bank Statement locked on. Charlotte is reaching, Banks kicks off the bottom rope and Charlotte rolls through to break free. Charlotte with a neckbreaker and chop block on Banks. Charlotte connects with the Natural Selection and Banks kicks out. Banks counters Charlotte again and gets her back down in the Bank Statement. Charlotte rolls Banks over on her shoulders with the submission still applied. Charlotte gets the pinfall with the shoulders of Banks down. Backstage, we see Luke Gallows and Karl Anderson making more ball jokes when AJ Styles walks up. Styles said they are running RAW and he plans on taking out the face that runs the place over on Smackdown, John Cena. They enjoy a "Beat Up John Cena" line when Finn Balor walks up. They throw up the Too Sweet and Balor smiles walking off. The Miz overwhelms Apollo Crews early with shots in the corner. Miz with a kick to the face, misses a second attempt and Crews gets a two count. Miz side steps a dropkick attempt by Crews and drops him with a quick DDT. Miz with a rear chin lock on Crews keeping him grounded. Miz drops Crews face first off the ring apron. Miz goes up top, jumps and Crews catches him with a dropkick on the way down. Crews with a series of clotheslines, a splash in the corner and a cross body off the ropes. Crews with a modified Angle Slam on Miz for a two count. Crews catches Miz with a kick to the head. Crews attempts a standing moonsault, but Miz gets his knees up. Crews quickly recovers and plants Miz with a quick powerslam. Miz with his corner clothesline, but Crews holds on and connects with an overhead belly-to-belly suplex on Miz. Crews connects with his standing moonsault and gets a two count on Miz. Miz bails and Crews chases him down. Crews tosses Miz back in. Crews with another close roll up. Crews hits the corner when Miz moves. Skull Crushing Finale and Miz gets the quick pinfall win. A video package runs focusing on John Cena vs. AJ Styles tonight. Big reactions for both John Cena and AJ Styles in Brooklyn tonight. Styles fires himself up early. Back and forth chants for both in Brooklyn. Styles catches Cena early with a quick dropkick. Styles shows off up on the turnbuckle. Cena is back up and levels Styles with a big right hand. Cena launches Styles at the opposite corner and Styles bounces off. Cena does this a second time to Styles. Styles with a suplex on Cena over the ring apron! Styles tosses Cena back inside the ring and Styles throws rights. Cena responds with a huge high back body drop on Styles. Cena with a dropkick and cover for a two count. Cena with a headbutt on Styles. Styles with a flying forearm on Cena off the ropes. Styles misses a shot in the corner and Cena connects with his shoulder blocks. Cena plants Styles with his twisting plant powerbomb and calls for the Five Knuckle Shuffle. Cena connects. Styles counters an AA and connects with a Pele Kick. Styles Clash on Cena. Cena kicks out. Cena with an AA out of no where, hooks the leg and Styles powers out. Styles has Cena up in a torture rack and connects with a spinoff powerbomb for another two count. Cena catapults Styles to the corner, catches him, tosses him over his shoulder and comes down in a modified cutter for yet another two count off a pinfall attempt. Cena avoids a flying forearm, gets a drop toe hold, Styles is back up and connects with an AA on Cena! Cena kicks out. Styles misses a springboard 450 and Cena with a flipping pinfall attempt on Styles that gets a two count. Styles with a german suplex and then a planting facebuster on Cena. Cena with an STF applied on Styles countering another springboard flying forearm attempt. Styles slips out and gets a crossface applied on Cena. Cena tries to fight out. Styles rolls through and gets his Calf Crusher submission applied. Cena is reaching and Styles turns him around. Cena rolls through and gets the STF applied again. Styles fights out and connects with a kick to the back of Cena's head. Cena with an elbow and tornado DDT combo. Cena connects with his flying leg drop to the back of the head of Styles. Cena is propped up on the top turnbuckle. Styles is on the ring apron, springboards up and catches Cena with a huricanrana takedown. Styles rolls back to the ring apron and hits his springboard flying forearm. Cena kicks out. Styles can't believe it. Styles with a kick to the leg of Cena. Cena fires back with a clothesline. Cena has Styles up on his shoulders and is going up to the second rope in the corner. Cena with a jumping AA off the second rope on Styles, Cena covers and Styles kicks out! Now Cena can't believe it. JBL referred to that as a Super AA. Cena is standing up in the corner with a surprised look on his face staring at Styles. Styles counters an AA attempt and hits the Styles Clash on Cena. Styles rolls to the ring apron. Styles springboards up and connects with the flying forearm. Styles hooks the leg and gets the pinfall clean on Cena. After the match, John Cena stays in the ring and the crowd in Brooklyn gives him some loud applause. Cena leaves one of his wrist bands inside the middle of the ring and gives a salute to the audience at the top of the ramp. Former host of "The Daily Show", Jon Stewart, heads to the ring. He says the match between AJ Styles and John Cena was "magic" and was so happy some idiot didn't interfere. Stewart talks about being here last year and learning his lesson by hitting Cena with a steel chair. He said if you are ever in a situation where you may be hit with an AA, "tuck your shirt in." Stewart joked no one needs to see "old man belly." Stewart said he has been asked by The New Day to be here tonight. He takes off his hoodie to reveal a New Day t-shirt. Stewart said he will be joining New Day tonight to take the place of Big E at ringside. He starts doing Big E's part introducing New Day as the Brooklyn crowd takes over for him. We start with Kofi Kingston and Karl Anderson. Anderson with a quick headlock takedown early. Kofi with a flying elbow that drops Anderson. Kofi counters a monkey flip attempt by Anderson and then comes back with a flying stomp to the chest of Anderson. Tag to Xavier Woods. Woods and Kofi drop Anderson down face first. Tag to Gallows. Woods with a dropkick to the knee of Gallows and tags in Kofi. Woods and Kofi take turns stomping away at Gallows in the corner. Jon Stewart is cheering them on at ringside. Woods launches Kofi into Gallows hitting a dropkick. Woods with a baseball slide sending Gallows out. Kofi jumps over the top rope and strikes a pose in mid-air taking out Gallows. Back inside, Gallows cuts off Kofi and stomps away. Tag to Anderson who keeps Kofi grounded. Tag to Gallows who takes body shots from Kofi and then fires back with a right. Gallows misses a splash on Kofi. Tags to Woods and Anderson. Woods with clotheslines. Woods with a dropkick to the back of Anderson. Woods catches Anderson with a kick to the head from the ring apron. Woods with a flying elbow over Anderson for a close two count. Tag to Kofi. Woods sets up Anderson with a backbreaker and Kofi comes off the top rope. Gallows breaks up the pinfall attempt. Gallows with a big boot to Woods. Kofi pushes Gallows out. Anderson with a running big boot to Kofi. Tag to Gallows. Magic Killer on Kofi. Stewart jumps in the ring. He throws up the Too Sweet at Gallows and Anderson. Spinebuster by Anderson on Woods. Gallows and Anderson start to go after Stewart cornering him. Stewart starts to tuck in his shirt. Gallows and Anderson have Stewart by the legs. Brooklyn starts a loud "YES!" chant as they point to the corner post. Big E runs out and levels Anderson and hits a belly-to-belly on Gallows. Big E throws Gallows at the ring barricade as the referee calls for the bell. After the match, Big E picks up Karl Anderson and launches him at the ring barricade. Big E yells down at Anderson. Big E grabs the tag titles and throws them inside the ring. Big E takes a drink from the glass containers at ringside that Gallows and Anderson have been using on TV in recent weeks. Big E does a dance. Stewart tries it out and the fans boo. Big E goes back to dancing and Brooklyn enjoys that much better. A video package runs focusing on Dean Ambrose vs. Dolph Ziggler tonight. Back live, Shane McMahon and Daniel Bryan are inside the ring awaiting the arrival of Dolph Ziggler and WWE World Champion Dean Ambrose. Ambrose and Ziggler nearly begin fighting before the official ring introductions. Shane and Daniel break it up with help from the referee. Ranallo said it may take a line of security to keep these guys apart like how we saw at UFC 202 last night involving Conor McGregor and Nate Diaz. JBL said the only difference is that these guys are adult sized men. The bell rings and here we go. Ziggler with a series of pinfall attempts early on Ambrose. Ziggler catches Ambrose with a dropkick. Ambrose bails and Ziggler with a splash to Ambrose against the ring barricade. Ziggler follows that up with a swinging neckbreaker. Ambrose with a few shots on Ziggler as they return to the ring. Ambrose with chops. Ambrose with a quick suplex on Ziggler. Ambrose with a single leg crab on Ziggler. Ambrose with a snap suplex on Ziggler. Ziggler catches Ambrose with a dropkick in mid air. Ambrose plants Ziggler face down on the mat with a quick response. Ziggler tosses Ambrose out through the ropes. Ambrose jumps back in and Ziggler catches him with a DDT. Ambrose counters a Fameasser attempt into a roll up for a two count. Ziggler fires back sending Ambrose shoulder first into the steel ring post. This time Ziggler connects with a Fameasser. Both Ambrose and Ziggler collide in the middle of the ring. Ambrose with repeated shots taking down Ziggler. Ambrose with a big clothesline and backs up in the corner. Ambrose with a corner elbow and running bulldog combo. Ambrose is going up top, jumps and connects with his flying elbow to the top of Ziggler's head for a two count. Both brawl to the outside and Ziggler catches Ambrose with a big superkick. The referee already started the count. Ziggler dumps Ambrose back in at the 8 count. Ambrose blocks another superkick attempt. Ziggler counters a Dirty Deeds attempt and gets the Zig Zag for a close two count. Ambrose gets out of a choke and connects with his lariat on Ziggler off the ropes. Ambrose is now up top. Ziggler cuts him off. Ambrose with a headbutt and Ziggler falls back. Ziggler jumps back up. Ambrose is holding on. Ambrose avoids a facebuster attempt by Ziggler off the top rope, lands on his feet and connects with Dirty Deeds. Ambrose gets the pinfall. A video package runs with highlights from NXT TakeOver: Brooklyn II and WWE stars in the New York City area to promote SummerSlam this week. We get an introduction for Eva Marie from the deep voice announcer. He noted that she is currently on vacation after suffering from exhaustion. Nikki Bella is back and replacing Eva Marie tonight. We start with Becky Lynch and Alexa Bliss. Pinfall attempts early between the two. Bliss with a shot to Becky after Becky leaped back from the corner. Tag to Naomi and Natalya gets the tag. Natalya with a springboard sunset flip pinfall for a two count. Naomi with a leg drop over Natalya for another two count. Tag to Carmella. Natalya with knees to Carmella in the corner. Natalya pushes Carmella back. Carmella with flying head scissors on Natalya. Carmella levels Natalya on the outside after she rolled out. Back inside, Carmella bounces the face of Natalya off the corner. Bliss tries to interfere. Natalya with a powerslam on Carmella. Tag to Nikki. Nikki with a snap suplex on Carmella. Nikki with a spinebuster on Carmella. Tag to Bliss as Nikki chokes Carmella with her boot. Bliss forces Carmella down and flips backward dropping her knees over her stomach. Tag to Natalya. Natalya misses a shot on Naomi in the corner. Natalya pushes Carmella to the corner and throws knees. Natalya with an abdominal stretch on Carmella. Hot tag to Becky. Becky with clotheslines to Natalya along with a leg lariat. Becky with repeated overhead suplexes on Natalya and Bliss. Becky throws all three women to the corner. Springboard side kicks by Becky on all three. Becky with her elbow in the corner and another overhead suplex. Becky dumps Bliss out. Becky with a huge kick to the head on Natalya. Becky is up top and connects with a flying leg drop over Natalya. Nikki breaks up the pinfall. Bliss gets the tag as Natalya rolls out. Naomi tags herself in and hits a springboard cross body on Bliss. Naomi with repeated jumping kicks to Bliss and finishes her off with one big kick to the head. Naomi misses a split legged moonsault. Bliss eats knees from Naomi. Tag to Nikki who eats a superkick from Carmella who got the tag. Carmella with a Bronco Buster in the corner. All the girls are in brawling. Bliss and Natalya send Naomi to the corner. Carmella dropkicks both Natalya and Bliss. Nikki levels Carmella with a huge right hand. Nikki has Carmella up and hits her cutter off the shoulders to get the win. Video from RAW two weeks ago of Roman Reigns interrupting the wedding celebration between Rusev and Lana is shown. Backstage, Maria Menounos is with WWE United States Champion Rusev and Lana. Rusev is upset and blames Roman Reigns for everything going wrong lately. A video package runs focusing on Seth Rollins vs. Finn Balor tonight. Back live, Stephanie McMahon and Mick Foley are at ringside. We then see the new WWE Universal Championship inside the ring. We get ring introductions for both Seth Rollins and Finn Balor. The bell rings and Balor with a running dropkick on Rollins right away. Rollins rolls out to avoid a Coup de Grace and Balor leaps over the top rope taking him out. Back inside, Balor kicks out the legs of Rollins repeatedly. Balor continues working over the leg of Rollins. Rollins trips up Balor on the ring apron and then gives Balor a suplex on the floor. Rollins launches Balor over the barricade into the timekeeper area. Balor leaps off the barricade and takes out Rollins with a flying forearm. Balor tosses Rollins back inside and Rollins cuts him off. Balor catches Rollins with a dropkick to the face. Balor locks up the legs of Rollins and stomps the knees of Rollins into the mat. Balor is on the ring apron, Rollins slides under, gets Balor on his shoulders and then launches him at the ring barricade! Back inside, Rollins with chops to Balor and gets in a few shots in the corner. Rollins with a snapmare and kick to the back. Rollins is keeping Balor grounded and starts choking him with a piece of his ring attire. Rollins catches Balor with a glancing springboard knee. Rollins goes back up top and connects with a twisting frog splash with some major distance on it. Balor plants Rollins with a DDT. Balor with a flying forearm off the ropes taking out Rollins. Balor with a dropokick sending Rollins out. Balor catches Rollins with a knee to the face hanging onto the ropes over the ring apron. Back inside, Balor with his sling blade takedown. Rollins cuts off Balor with a dropkick. Balor counters a Pedigree attempt. Rollins kicks Balor in the head and Balor responds with his overhead kick. Rollins with a knee to Balor, but Balor plants Rollins with an inverted DDT. Balor with a second inverted DDT for a two count. Balor misses a Coup de Grace. Rollins has a triangle lock applied on Balor. Balor gets his foot on the bottom rope and Michael Cole reminds us this match is No DQ rules. Balor breaks free to force the break rolling out. Back inside, Rollins connects with his powerbomb in the corner and follows it up with a superkick for a two count. Rollins is yelling at Balor that this is his ring. Balor is firing up. Balor with body kicks, eats a knee from Rollins, Rollins with a small package driver and gets a close two count. Rollins bails out, Balor chases and dropkicks Rollins into the barricade. Balor tosses Rollins in, Balor goes up top and connects with a stomp to the head of Rollins. Rollins kicks out. Balor is going back up top. Balor goes for the Coup de Grace, Rollins rolls out of the way, kicks Balor in the gut and hits the Pedigree. Balor kicks out. Rollins misses a dive off the top rope. Balor dropkicks Rollins to the corner. Balor is up top. Rollins cuts off Balor with a superplex. Rollins hangs on rolling through. Balor avoids a Pedigree and connects with a stomp over Rollins. Balor dropkicks Rollins to a corner. Balor with another dropkick to Rollins in the corner. Balor is up top, goes for the Coup de Grace and connects. Balor hooks the leg and gets the pinfall. Balor is the first ever WWE Universal Champion. After the match, Finn Balor grabs the WWE Universal Championship at ringside and gets back in the ring celebrating. Michael Cole talks about how Balor made history tonight becoming the first ever WWE star to win a major world title in his WWE PPV debut. 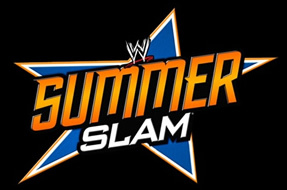 We hear from the SummerSlam panel featuring Lita, Booker T and Jerry Lawler. Lana is out to introduce the WWE United States Champion Rusev. Roman Reigns walks out to a mixed reaction inside the Barclays Center. Before the match can begin, Rusev immediately attacks Roman Reigns throwing him into both steel ring steps at ringside. Rusev drops right hands over Reigns. Reigns grabs part of the steel steps and hits Reigns in the arm with them. Reigns then tosses Rusev over the barricade to the timekeeper area. Cole notes that the match still hasn't officially started yet. A number of WWE officials come to the ringside area to break it up. Rusev grabs a steel chair and Reigns blocks a shot getting in headbutts to Rusev. Reigns tosses Rusev back to the ringside area. WWE officials are yelling at them both still. Reigns has a steel chair and hits Rusev in the ribs with it. Reigns tells the WWE officials to back off. Reigns cracks the chair over the back of Rusev at ringside. Reigns is throwing rights on top of Rusev. Reigns with headbutts to Rusev. WWE officials are trying to separate the two. WWE officials are ordering Reigns to the back. A loud "WE WANT SLATER" chant breaks out. JoJo announces on the mic that WWE officials have ruled Rusev is not able to compete tonight. Reigns walks back down the ramp, charges and takes out Rusev with a huge spear. A video package runs hyping Brock Lesnar vs. Randy Orton tonight. We get a Paul Heyman introduction for Brock Lesnar before the match. Lesnar and Randy Orton have a quick stare down. The bell rings and here we go. Lesnar charges and throws knees at Orton in the corner. Lesnar attempts a german suplex early. Orton hangs on to the ropes, throws some elbows and takes out Lesnar with a quick dropkick. Orton goes for an early RKO and Lesnar avoids it. Lesnar connects with his first release german suplex on Orton. Lesnar with a second german on Orton. Orton with a kick at Lesnar. Lesnar with a jumping knee and a third german. Lesnar with more knees to Orton in the corner. Lesnar with a fourth german. Orton with elbows to Lesnar. Lesnar overwhelms him with shoulder charges. Lesnar with a fifth german. Lesnar with more knees. Lesnar with a sixth german. Orton rolls out and throws some big elbows. Lesnar cuts him off with a knee, puts Orton on his shoulders and then drives him over one of the announce tables at ringside. Orton falls over the barricade into the front row. Lesnar lifts up Orton and throws him over the announce table again. This time Orton goes crashing through it. Lesnar tosses Orton back inside the ring. Lesnar with a seventh german. Back at ringside, Lesnar is clearing off another announce table and dragged a lifeless Orton on top. Lesnar is lifting up Orton. RKO out of no where on Lesnar over the announce table! The table somehow holds up. Orton is back inside the ring. Lesnar is crawling back inside. Orton has Lesnar and connects with his DDT off the ropes! Orton with a second RKO on Lesnar, hooks the leg and Lesnar kicks out. Orton is backing up to the corner. Orton is going for his kick to the head when Lesnar cuts him off and connects with an F5. Orton kicks out! Lesnar can't believe it. Lesnar mounts Orton and is throwing stiff looking elbows and forearms. Lesnar busted open Orton immediately! Blood is pouring out of the head of Orton. A ringside WWE medical official is inside the ring and checking on Orton. Lesnar sits back in the corner. Lesnar pushes them away and starts beating down Orton again with right hands. A loud "GOLDBERG" chant breaks out. Lesnar with more shots on Orton. The referee officially calls for the bell. After the match, Brock Lesnar attacks Randy Orton more. Shane McMahon hits the ring and gets in Lesnar's face saying it is over. Lesnar grabs Shane and gives him an F5. Paul Heyman is yelling at Lesnar and begging him to stop. Lesnar leaves the ring with Heyman. The show comes to a close with Lesnar smiling as we see Shane just starting to recover and a shot of a very bloody Randy Orton in the corner.